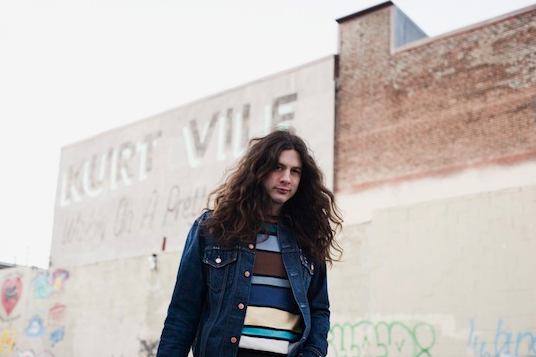 Kurt Vile's fifth long player is a humble opus if there’s such a thing. His lyrics could be hopeful, could be melancholy, it’s tough to tell – the almost-eponymous opening track (substitute “Day” for Daze in the title) sums it simply, it’s hard to explain, (my love) in this daze. Vile’s vocals throughout Wakin On A Pretty Daze are soft and flatline, yet they tend to hint at a humble crispness around the edges. As warning, his melodies keep alongside his voice, slow and meandering with only the slightest deviance. Sometimes they overstay their welcome – you can’t be in a rush to hear Daze – but, like war stories from a tired old man, there’s wisdom in the musings.The singer-songwriter's roots grow mostly in the grass of 1993. On songs like “KV Crimes” his band the Violators back the harmony with Stratocaster hooks over Vile’s droning-emotive vocals (I think he lets out a lone, understated woo that might be the most eccentric his singing gets). “Was All Talk” beats an insistent drum-and-strum that will surely remind of R.E.M post-circa “Electrolite” or something of that vibe. It’s basic tribute (Making music is easy, watch me! Vile enthuses). No need for this one to fill its almost eight minutes frame, though. Early Nirvana and the Pixies made a preternatural child in the uncomfortable “Shame Chamber” with Vile wavering, shay-ay-ame on you... I can’t even look myself in the mirror (the Strat plucks a high chord and ends the dither), suddenly someone’s wooping and wooing from a peak over an idle-jam solo, fade her out and it’s done. “Never Run Away” is a shoegazing Tom Petty, airy and affecting as can be given the circumstance, banging and losing drums over a revolving guitar-axis. I know you’ll never run away, it’s true what Vile says, teasing that he’ll venture away from the compound that’s drawn us in all as he hunkers down in his sole lonesome octave. “Girl Called Alex” is another one, reverb for added significance over what’s heart is a simple recollection. In the fills, the Violators hint that they might break out, but it’s a wholly empty promise; they’ll be staying put for now. Too bad, I enjoyed the distorted riffs and the organ-keys that relieve themselves to an accordion hum. Second thought, this one’s a good tune; Vile has plenty to consider, it seems. A requisite shift in tempo occurs on the same note approaching final resonance. There’s something here.Wait! We’re past the twelfth fret with “Pure Pain” and it’s not so bad, now, is it? The tune’s hook jumps out from the haze; it’s almost startling amongst the clouds, despite an optimistic undertone. But then it floats back down to Earth, sliding strings carrying the weight. An ephemeral breeze catches for another chorus, but Vile’s returning from his trip to form – his outro falls to muttering and we don’t know where he is anymore. I like this one for just what it is, a turn and a comedown.“Too Hard” caught me off-guard (it shouldn’t have, really) again with fingerpicked notes I could have sworn were from a “Rain In The Country/Crumbling Land” tape (an aside: as a bootleg, Omay Yad comes highly recommended). Similarly, the lyrics aren’t so much a song as a message from a (too soon) world-weary traveler to the girl back home: Take your time they say it's all around / and I think I'd say I know just where that I am bound / There comes a time in every man's life when he's / gotta hold tight to the heart of the matter at hand / So take your time, baby girl, ‘cause that's, that's the best of all... A subtle fade to “Snowflakes Are Dancing” narrates the scene with whispering acoustics and some minor obscurities. Those looking for an archetypal Vile composition should come here to stand in the lingering zephyr, chilling on a pillowy cloud / comfort of codeine / and springsteen pristine / you shoulda seen / just what I heard (I’m starting to think this is perfect, I said to myself when the dance was nearly over). “Air Bud” doesn’t have anything more to add, just strange days inside / my mind... (here’s where we toss the leftover mumbles and picks)... and then what? (Well, this is interesting.) “Goldtone” has the Violators escaping to an island paradise (Vile promise it’s not in their heads: Sometimes when I get in my zone / you'd think I was stoned / but I never, as they say, touch the stuff...) No idea where they’ve ended up, but it must be a pretty view from up high or adrift at sea, listening to the swan sing on that codeine and haze while the sun sets in the distance.